Why choose Campbell’s Greenhouse and Garden Center? We’ve been in business since 1998 and focus on providing quality mulch and pinestraw at the best value possible. 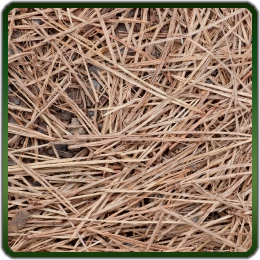 We keep several kinds of mulch in stock including mini nuggets, shredded pine, hardwood and dyed mulch. We also carry clean pinestraw by the bale. Our mulch and pinestraw are available for delivery in Randleman, Archdale, Asheboro and Ramseur. These are very tightly packed bales which will cover much more ground than a normal bale of pinestraw. Our high quality mulch and pinestraw in Randleman, Archdale and Asheboro aside from our unbeatable customer service and hard to match prices, makes us your one-stop-shop for all your landscaping needs . Please give us a call or contact us if you have any questions regarding our mulch and pinestraw or any other of our products and services.